The Rotary Foundation (TRF) was created in 1917 by Rotary International's sixth president, Arch C. Klumph, as an endowment fund for Rotary "to do good in the world." The Foundation supports Rotary International in its efforts to achieve world understanding and peace through local, national and international humanitarian, educational and cultural programs. TRF is a Guidestar "100" score charity with $2 Billion of net assets. TRF areas of focus are: Promoting Peace, Fighting disease, Providing clean water, Saving mothers and children, Supporting education, and Growing local economies. Giving to The Rotary Foundation is a financially sound way for you to help others. 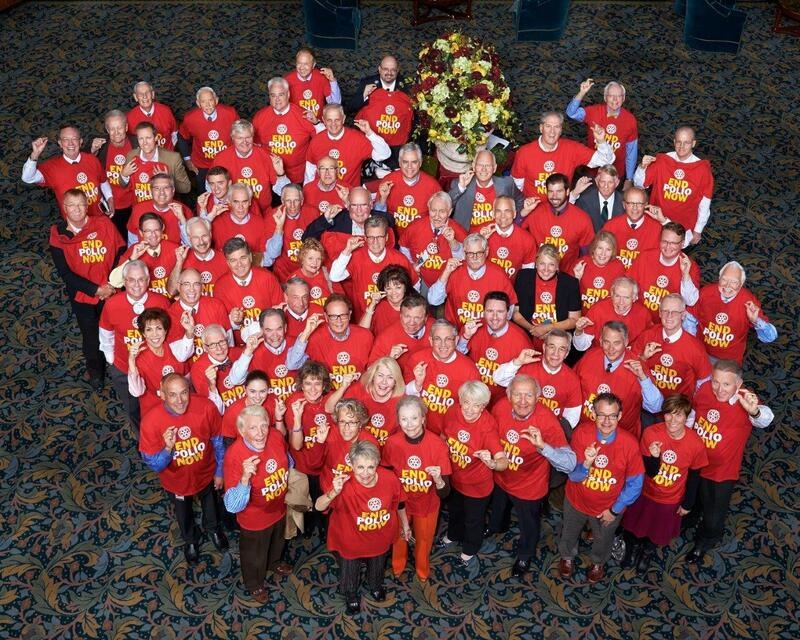 Salt Lake Club members show support for TRF's world initiative to end polio. Club members Floyd and Carol Hatch administer the polio vaccine on a Rotary service trip to India.